Have you ever dreamed of climbing Mount Everest, but thought you’d never be able to do it? That you’re not fit enough, or strong enough? Well don’t give up on yourself just yet. 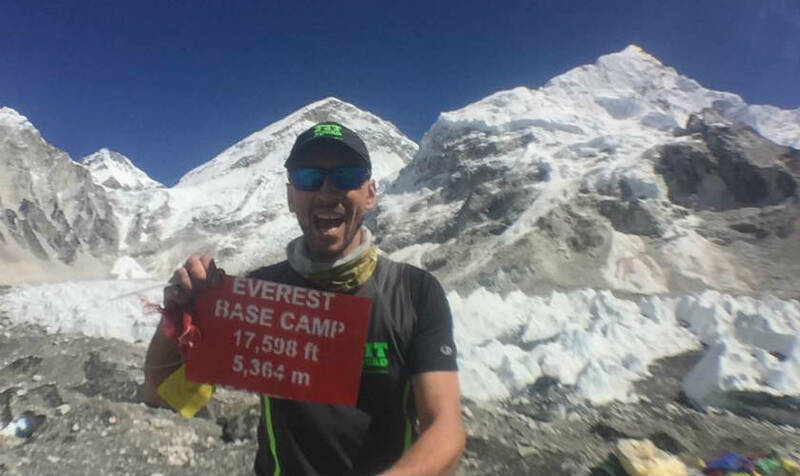 In October last year Coach Adam from EFM Health Clubs North Melbourne set out on the gruelling trek to Everest Base Camp, and has given us an insight into how he prepared, and what he overcame along the way. “I don’t like to overthink things. Where some people train for 12 months, I started preparing 6 weeks out. I did a handful of sessions in an altitude training room, but nothing can prepare you for what happens when you’re there,” Adam said. Adam already had a good base level of fitness after years of working in gyms and pushing himself on various physical endeavours, but it was the mental aspect of things which counted most on the trek. “You have to take things one step at a time; it’s a mental game. You can’t look at what is ahead, you just have to look down at every step you take. “It was pretty hard. Everyone has different road blocks along the way at some time or another, and it depends on your mental stamina and toughness on how you get through that. After reaching Base Camp, Adam quickly set his sights on his next goal- to climb to the top of Mount Everest. And while many people have trekked the path to Base Camp before him, Adam says his conquest has inspired a few people around him to sign up for the trek themselves. “They are people that were always interested in doing it, but didn’t think they were physically up to it. I told them that anyone can do it if they set their mind to it and commit to a relevant training program. “It doesn’t matter if you are a 25 year old, or a 50 year old. Both have to take the same number of steps, have to overcome things along the way, and they will both get the same sense of achievement out of it.